It has been an exciting week over here at NADSP. We started the week rallying for bFair2DirectCare with hundreds of direct support professionals, self advocates and family members at the NYS Capitol for wage increases for DSPs. BFair2DirectCare is the New York wage campaign currently fighting for wage increases for DSPs. People came from Buffalo to Montauk to show New York state legislators the power and value of the Direct Support Professional. To view photos from the rally click here. View the press coverage, click here. Do you have a wage campaign going on in your state? We’d love to support you and your efforts. 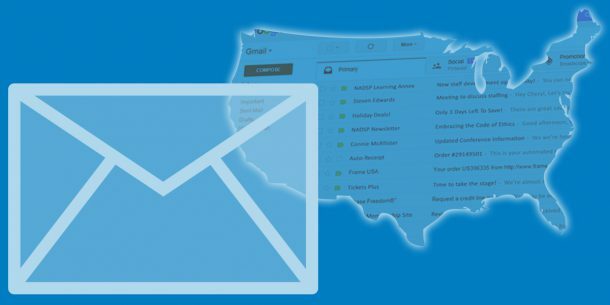 Email us at Ndama@nadsp.org. In addition to rallying this week we have been announced as this year’s NY Alliance for Inclusion and Innovation’s Public Policy and Social Justice Award winner. Our whole staff was together when we found out we had received the award and we could not be more honored. As NADSP has changed a lot over the past year we have only doubled down on our mission to elevate the status of direct support professionals by improving practice standards and promoting system reform. With the strengthening of our team with Desiree, Dan and Nicole last year we have been able to continue and further this work. In that realm, we have recently made a few changes to titles over at NADSP. Our board recently voted to change the titles of Joe and Desiree to President/CEO and COO respectively. Due to the continued development of the organization, the board felt these changes were necessary part of our newly adopted by-laws and strategic plan. 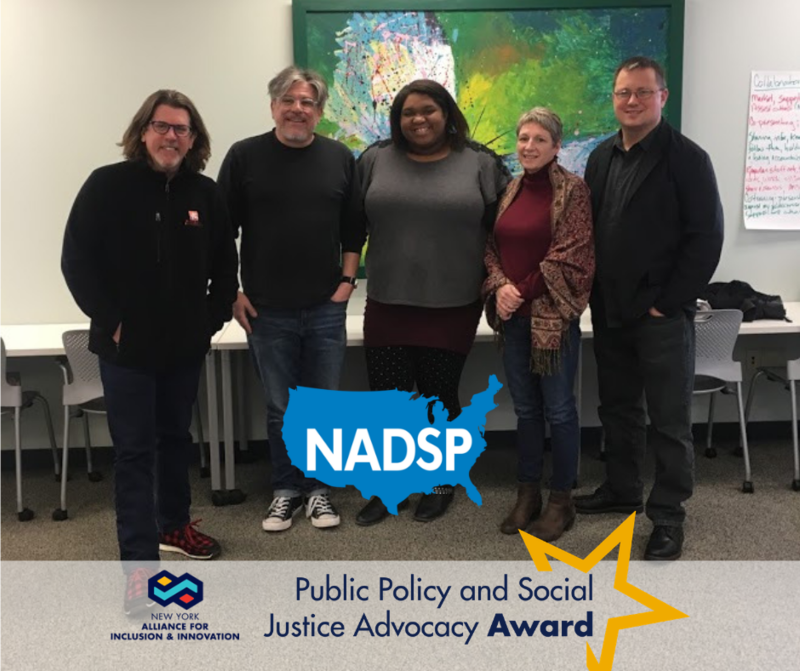 The Public Policy and Social Justice Award honors leaders in the disability and human service fields who have made exceptional contributions to the betterment of society through the advancement of policy and life enrichment opportunities for all individuals. We look forward to accepting the award next week at the NY Alliance Annual Conference in Bolton Landing, New York. Additionally, our very own Dan Hermeck has been chosen to present, “Raising the Bar for Effective Direct Support Practice,” next week. For more information on the conference, click here. We thank you for your continued support while as we continue our commitment to growing and developing ourselves as we work to support the Direct Support Professional work force.